Ina Blom: If I’m a little bit off, it’s because for some time now I haven’t slept much, after a bad bout of flu. But I’m symptom free now! Keeley Haftner: Yes I’m glad to hear your feeling better, and we’ll forgive you for any illness-related errors [laughs]. So I’d like to begin with the basics. You teach at both University of Oslo and the University of Chicago; what do you find most different and most similar about working between these two contexts? IB: I mean, both are art historical departments, but I think the greatest difference is that while we do have a number of foreign students in Oslo, I think the international mix in Chicago tends to be greater. In Oslo, teaching tends to be more lecture-based, with larger classes, whereas in Chicago it’s generally more seminar-based. Also, importantly, the University of Chicago is an expensive private university, where in Scandinavia all universities are state-owned and basically tuition free, and this of course creates a different study environment. The free education system also draws foreign students from beyond the EU. I probably shouldn’t advertise this to the world [laughs], but so far the government is keeping it free also for non-EU students because they want more people around the world to be aware of our research institutions. KH: Let’s talk about your writing. It has appeared in a number of different types of publications, including art critical journals such as Artforum, Afterall, Parkett, and Texte zur Kunst, and exhibition catalogues, as well as more standard academic journals and publishing houses. Would you say that this allows you more freedom within your writing practice? IB: Yes, absolutely. I started out as a music critic and radio DJ many years ago, so I got a lot of training in basic journalism and various genres and styles of writing, depending on the publication and the audience – from straightforward reporting to the more literary or essayistic and the more academic. I really enjoy being able to have different voices for different contexts, and I also just enjoy writing! [Laughs] One of the reasons I went back into academia was because I got a bit fed up with the free-wheeling, impressionistic voice that was de rigeur in most music journalism. The more analytic side of me wanted to be more hard-edged and focused, and also more philosophical, and this did not always go down so well in the more journalistic contexts. So ultimately I felt greater freedom having the academic world as my main professional platform. But I really enjoy the back and forth between different contexts. 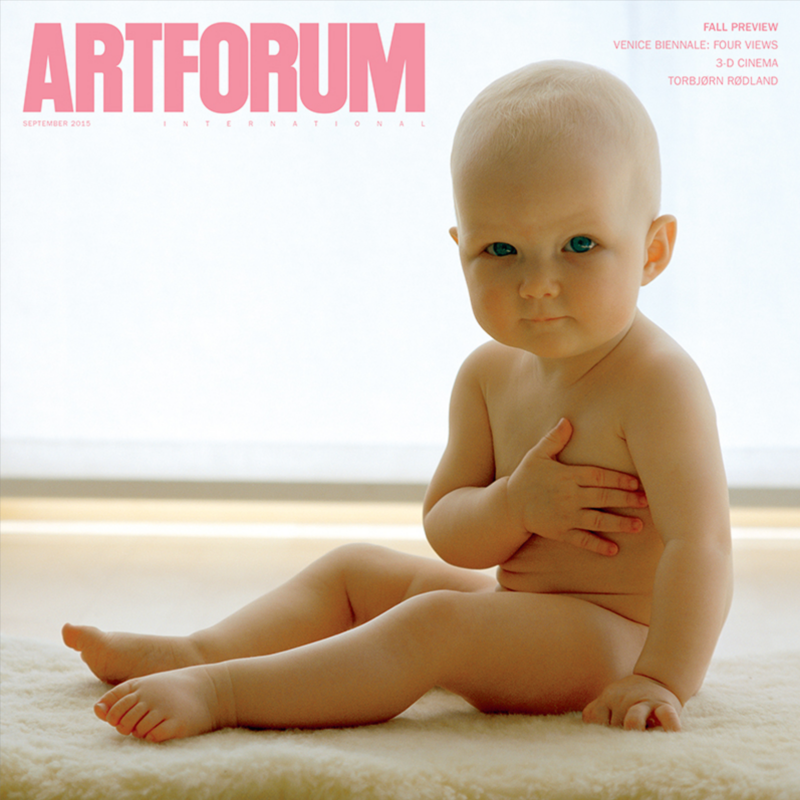 KH: I’m thinking about the article you wrote for Artforum’s September 2015 issue, which was accompanied by what is probably one of the most arresting covers for the magazine I’ve ever seen (Torbjørn Rødland’s Baby (2007)). Can you describe how his innovative approach to photography, as you say, “the entire image made punctum”, holds your interest in reference to your larger research interests? IB: I’m not sure that there is a direct link, per se. As an art critic, I tend to be most interested in works that I don’t immediately “get”– when I can’t instantly tell what the work is about or what exactly the artist’s project is. Rødland’s work is very much like that; his photographs are always somewhat mysterious to me and I feel I’m always kind of scrambling to understand what he’s doing, and my own response. In the mid-90s, he got a lot of attention because he appeared to rehearse an nineteenth-century Nordic Romanticism that seemed contrary to the conceptually-oriented art practices that was re-entering art practices at that time, and also very much at odds with my own preoccupation with Dadaism, Constructivism, Fluxus and other anti-romantic- and anti-expressionist forms of art. Rødland seemed to recirculate Romanticism with a strange and idiosyncratic twist that made you pay attention. This was something completely different from conservative-post-modern pleas for past glories or ironic recirculation of too-familiar motifs. You simply had to pay attention in a new way. So that was the beginning of my interest in this work, but as his project grew I think the images just got stranger and stranger. And increasingly I started to think about them as opening up the horizon of what photography is and can be, in really new ways – pertaining, among other things, to the relationship between images, technical apparatuses and various types of natural phenomena, as well as the question of the contagiousness of images and their affective dimensions. These were ways of trying to approach his take on photography, but I still think they are inadequate in terms of just appreciating the weirdness of his work, which I think is great. One of the first articles I wrote about his work was called “I’m With Stupid”, because I was obsessed with rock and roll stupidity, which I think is a sensibility I shared with Rødland. The celebration of idiocy, all those things for which there’s no explanation and no excuse. So I wrote a long essay about how that sensibility made its way into his work, and how that’s also linked to a celebration of vulgarity, which Robert Pattison sees as the underlying romantic impulse in rock. Vulgarity here has nothing to do with bad taste – it is rather a sort of blankness that refuses to recognize given hierarchies of values or systems of knowledge. This is yet another half-baked critical approximation which may be meaningful to some extent, but which does not say all there is to say about the work. KH: In a studio visit I had with you while at the School of the Art Institute Chicago, I seem to remember that in your own words, you encouraged me not to beat the dead horse of Conceptualism, and emphasized the importance of sincerity over the ironic in contemporary production. I’m wondering if you can talk about sincerity after Conceptualism and Minimalism? IB: It’s not as though I want to promote one attitude or approach over another. I’m just afraid of anything that becomes a default mode of operation that art students feel obligated to follow no matter what. 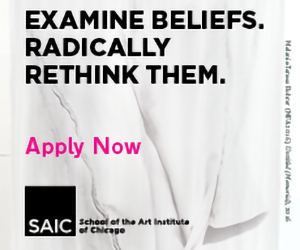 The critical/conceptual art practices and their traditions are incredibly important to me, but they carry a specific form of authority which can be crushing, and which, in its less intelligent or self-critical moments, becomes just another form of academicism. Anything that is able to present itself as the one proper critical approach may have this effect, and will easily appear as more valid than something whose framework or mode of operation is less clearly formulated. 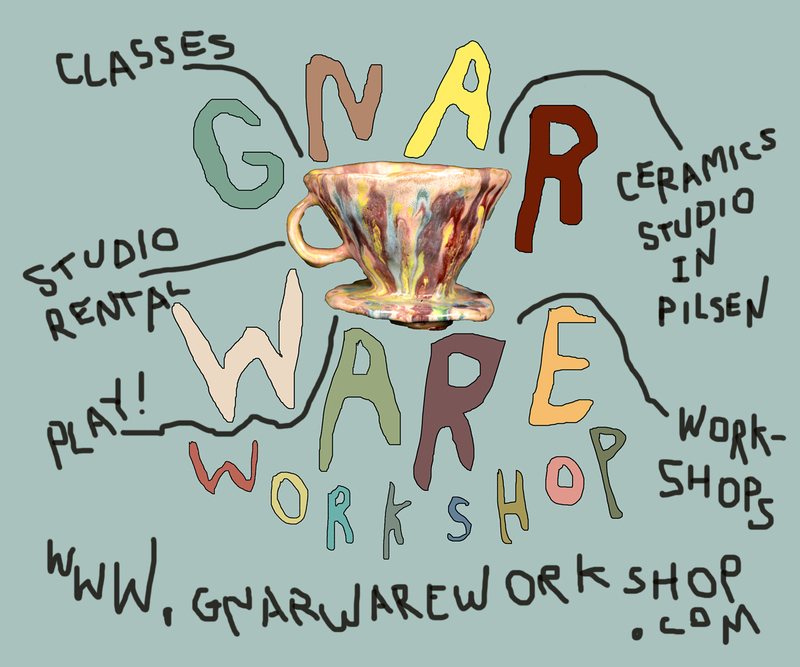 I believe that art students should be thoughtful and critical in their approach, but good art does not always emerge from well-formulated critique. So this is why I get a bit concerned when students seem to feel they need to justify their work in terms that are perhaps at odds with their best capacities and resources. There should be a lot of room for following pathways that have as yet no clear direction. KH: And you have a lot of different modes yourself, in terms of your focuses throughout your research. Shifting to one of these modes, I’m thinking about a term you briefly used in On the Style Site. Art, Sociality and Media Culture from back in 2007: the term “social site”. Can you talk about how it does or does not relate to Nicolas Bourriaud’s Relational Aesthetics? IB: The key term for me there was “style site”, which I used in order to honour the idea of site specificity while also questioning the idea of the simple access to something called “the social” in art practices of the 1990s and early 2000s. I was profoundly skeptical of the concept of relational aesthetics, and the way a number of works seemed to have been reduced to the idea of convivial togetherness of one kind or another. I saw very different things in the work of a lot of the artists associated with this new form of sociality in art, such Philippe Parreno, Liam Gillick, Rirkrit Tirivinijia, Dominique Gonzalez-Foerster and others. These works were not just about people gathering and doing things together, such as cooking. Every single one of these works was actually a media machine. They were without exception channeling other times and other places, inserting them into the live “here and now” of togetherness through a dynamic that was reminiscent of what is accomplished with real-time technologies such as television or digital networks. On closer look, these works turned out to be exceptionally complex assemblages that often associated televisual dynamics with the time-machine aspect of architecture, fashion and design elements – a whole range of phenomena traditionally linked to the phenomenon of “style”. Style used in this way was not about the look of things, or a static description and periodization of art history. It was all about the open-ended becoming or self-styling of modern subjects. In the works in question, architecture, design and fashion appeared as integral elements of media machineries that were no longer defined in terms of the programs or messages it presented to the public. Instead they were understood in terms of their role in the modern “production of subjectivity”, which many would claim is the key product of media and information industries, and their appeal to our apparently endless desire for self-development. Does this make sense? KH: Yes, it does, and it makes me think about how you’re approaching media not only in terms of communicating the subjective but also in terms of the collective legacy of our technologies and data. I know some have referred to your research practice as a “media-archaeological approach”, which makes me think about your collaboration with Jussi Parikka, Matthew Fuller and many others in your latest anthology Memory in Motion. Archives, Technology and the Social. IB: Yes, this book came out of a research project called the Archive in Motion and that I headed at the University of Oslo. 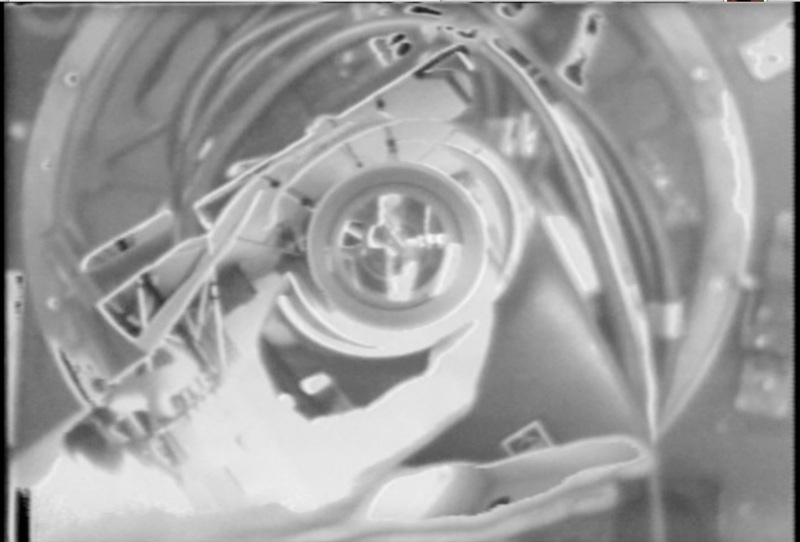 The project took a media-archaeological approach to the question of the contemporary archive, exploring how twentieth-century media technologies have changed our very understanding of what an archive is. The other book that I did which related to that project was called The Autobiography of Video. 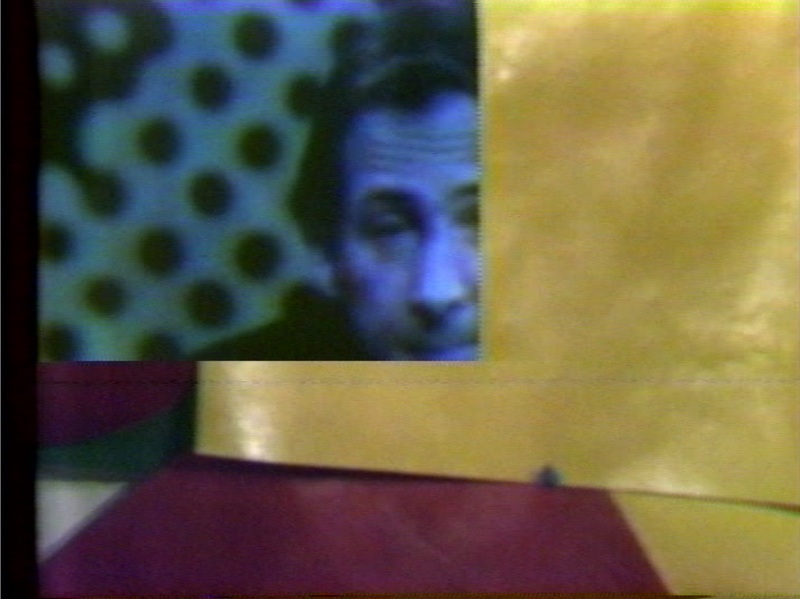 The Life and Times of a Memory Technology, where I really approach early analog video technologies as a set of agencies that explore their memorizing capacities in interaction with human actors, within the context of 1960s and 70s art. I spent a lot of time learning the ins and outs of video technologies, and the upshot was a story about the way in which these technologies propelled new social ontologies in the field of art production. In related ways, the point of departure for the Memory in Motion anthology was the basic sociological claim that society is memory. The idea was that fundamental changes in the technologies of memory might also change our idea of what the social is, how we should define whatever it is that we call social. Older memory technologies seem to privilege storage, containment, and stability over time, and seem to have promoted an idea of the social as something contained. But the ephemerality of contemporary memory technologies – which are all about updating and transferring in the present moment – may support a very different social ontology. So ultimately we were exploring the connection between technology and social thought, in many instances as articulated through early artistic prehensions of the implications of new media technologies. IB: [Laughs] I think it’s a bit early for that. All I can say is that the writing seems to have a lot of downloads on academia.edu! [Laughs] But it is not as though we were working with these topics in a vacuum. Gabriel Tarde and Bruno Latour’s writings speak to these issues at a sociological and philosophical level, as does Maurizio Lazzarato’s contributions to the Italian post-workerist tradition in political philosophy. Additionally, important work on digital archives has been done by Wolfgang Ernst, among others, who are among the contributors to our book. Our job, as I saw it, was to connect theories of new memory technologies with certain traditions in social thought and study this from a media archaeological and historical perspective. We are currently living in an almost hysterical memory culture, obsessed with storage and safekeeping, and where the old museum principles of careful critical selection are replaced by digital technologies that seem to promise that now there will be storage capacity for everything. The reality is that nothing is stored in digital space – documents only exist in terms of code that may or may not regenerate an image or object depending on whether your software and file format has been updated. Our desperate quest for infinite storage is an effect of this half-awareness of potentially catastrophic memory loss. These are strange times for archives and collections, and we were curious about the wider social, technical and aesthetic scenarios associated with these developments, both historically and in the present. KH: You talk about the way encoded material feels but is not actually immaterial, and how computer memory is an active electronic event. To me this seems to relate to the well-known psychological understanding that memory is created in the mind through the activity of remembering – that it is not accessed as a pre-existing object and then replaced like a book on a shelf. Would you say that we humans have a tendency to forget or misunderstand this about our own memories, or, that perhaps we understand this all too well, and we’re hoping that technology will succeed where we fail in creating an indexical record? IB: There are many different ways of studying memory. If you follow the thinking of Henri Bergson, memory is essentially a function that serves our basic need for mobility. It relates to our capacity to propel our bodies into the future, so that memories are basically created as a function of such movement. Other theories – particularly related to sociological studies of collective memory – pay more attention to distinct monument-like memories of the past and the need for safeguarding such memories. There is nothing wrong with that perspective per se, except for the fact that it may tend towards unnecessarily rigid conceptions of what it means to be a collective. It can potentially underplay the fact that memory-monuments, whether they are rituals, institutions, language or works of art, only appear as stable and everlasting because their relevance has been constantly renegotiated or recreated through new networks of influence and new forms of attention. I am not saying this to advocate change for change’s sake, but because the idea of a collective based on a rigid idea of identity modeled on an unchanging past is not helpful in a globalized world where the worst forms of xenophobia are one the rise. We need social ontologies that make it easier, not harder, to handle the encounter with and co-existence with new “others”. 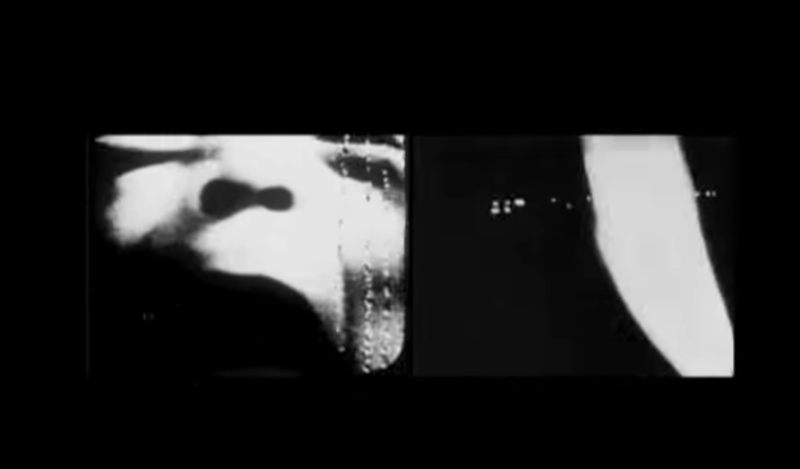 KH: Yes, and this idea of memory as mobility, or memory as the active present rather than the unchanging past – it reminds me of your use of Bill Viola’s “Video Black – The Mortality of the Image” in the beginning of The Autobiography of Video and the Transformation of the Artist’s Studio, where Viola was lamenting that a surveillance camera lacked the memory and comprehension of the human subject. He describes it as having no history and limitless present. So I’m thinking about that in reference to what you just said, but I’m also thinking about it in reference to something that interests me personally, which is the notion of ascribing subjecthood to the video camera. You appear critical of Viola for forcing subjecthood onto the camera, but you also talk about the technological agency of camera, and its “power to unfold” outside of the will of the artist. Can you talk about the difference between your assertion that video has “subject-like properties” and Bill Viola’s assertion that the security camera is a failed subject? IB: I found Bill Viola’s statement interesting because when he wrote that video has no memory, he pointed to something very important, notably that closed circuit video has no storage memory. (I could add that what is “stored” on videotape also challenges ideas of storage, since videotape does not safeguard images, like film or photography does, only electromagnetic patterns that may generate an electronic image which is always a new, live, phenomenon.) But once you think memory beyond the concept of storage, video of course does have memory. 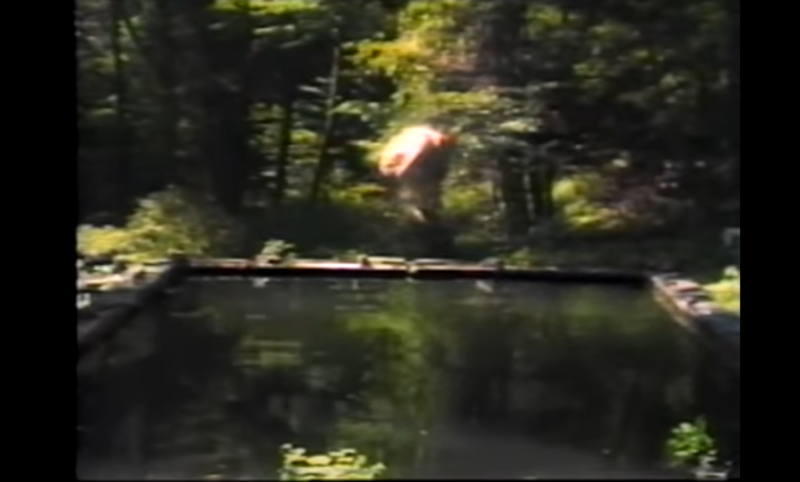 These ideas are much more developed in the work of Frank Gilette and Paul Ryan, who thought of analog video as a quasi-biological memory system exemplifying the future-oriented memory of living bodies, bodies that act and react to whatever is going on around them. So I would say that Viola’s statement was basically the negative point of departure from which I could approach the ways in which video, as a memory technology, also had certain rudimentary features in common with human forms of memory. And how knowing this might affect our understanding of the encounter between artists and new technologies in the 1960s and 70s. By writing the “autobiography of video”, I was not actually trying to say that video technology is like a human subject or to portray video as a form of subjectivity. What I was interested in was the idea of technical concretization or individuation, which I take from the philosopher Gilbert Simondon. The history of technology is not a linear set of developments that take place in reference to the world of intra-machinic functions only. Simondon described the fact that technologies change as a result of their interaction with a specific environment: this is how the inner workings of a machine become more concrete, or more specific or individuated. So I was interested in how video technologies became something very specific in interaction with an environment dominated by artists, artist-engineers and political activists, in contrast to what they became within the context of state or corporate broadcasting. Each of these contexts produced different technical/social realities. Here it is important to note that Simondon does not approach the individuation from the perspective of a finished individual, but from the dynamic process of individuation itself. It was such a process – or, more precisely, set of processes– that I tried to get at in my book, as best I could, and with all the limitations that will necessarily haunt such a project. KH: What are you working on now? IB: I’m a bit hesitant to discuss it because it’s so new, but I just gave a keynote lecture on the transformation of the straight line in twentieth-century art – a topic that I related to the ongoing discussions about the concept of “contemporaneity” and its institutional and discursive realities, the topic of the conference. I’ve been working for quite a while now with La Monte Young’s seminal 1960 composition, Draw a Straight Line and Follow It, and everything that happened around this work. It is a long story, but I am interested in how this work might be related to the sensorial alignment and coordination in contemporary computing and new concepts of so-called “common sense”. Another aspect of my current work returns to the issue of machine environments, more specifically by looking into the way in which new media technologies are increasingly associated with all sorts of meteorological phenomena. Machine weathers, in other words. This is something slightly different from John Durham Peter’s discussion, in The Marvelous Clouds, of all sorts of natural phenomena as media. I am more interested in the way in which machine realities, technical realities, are approached in atmospheric terms, and also in psychological terms, having to do with moods, with subtle environmental shifts and changes. Such ideas have a long history, and it probably was the constant appearance of snow and rain in the media-oriented works of Philippe Parreno, among others, that first made me think about these ideas. IB: [Laughs] No no, let’s end before I do. Ina Blom is an art historian, critic and writer working between Norway and the United States. You can find her faculty pages here and here.